Is a creature affected by summoning sickness if it comes under your control at the begining of your upkeep? Does two Thopter Spy Network allow two card draws? Does the legality stop me from playing these cards in standard format? 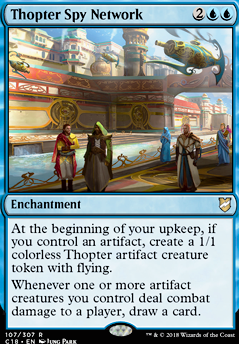 At the beginning of your upkeep, if you control an artifact, create a 1/1 colourless Thopter artifact creature token with flying. Whenever one or more artifact creatures you control deals combat damage to a player, draw a card. Lokimir on Saheeli, Tokens, Tokens & Tokens ! Firstly, thanks you for your feedback. I believe you are right about the Welding Jar and removing the 3 or 4 CMC cards. I will probably put 3x Welding Jar replacing 2 Thopter Spy Network , Chief of the Foundry , and 4x Galvanic Blast replacing 3x Chief of the Foundry , 1x Thought Scour . I'm not sure about Pia and Kiran Nalaar . On one side, it feels great for the 2 damages activated ability. On the other side, I believe this 3 mana cost is way too expensive and small red removal are indeed better. What do you guys think ? Can add all these cards for about $20. Can add all cards suggested in both comments for about $45. The majority of these suggested cuts are five/six/seven drops. Cutting these can reduce the avg. CMC or your deck a lot resulting in smoother game play. If you like some of these suggestions I offer more advice. Good luck with your deck. Kaigz on Advertise your COMMANDER deck! Decided I wanted to spice up my boring Invent Superiority upgrade and turn it into a super janky casual combo/control deck based around the Sword of the Meek and Thopter Foundry combo. Basic idea is to play a bunch of cheap artifact creature generators like Genesis Chamber , Golem Foundry , Retrofitter Foundry , Efficient Construction , Hidden Stockpile , Thopter Spy Network , Flamewright , Loyal Apprentice , and Sly Requisitioner to get as many artifact chumps out as I can per turn, and use them for two purposes - to feed Breya, Etherium Shaper ’s removal to control the board state and stave threats while we find our combo, as well as to feed Kuldotha Forgemaster so he can tutor out our win con - Sword of the Meek , Thopter Foundry , and Ashnod's Altar . Once we have all the pieces out we have a couple of options on how to proceed, depending on which auxiliary creatures we have. 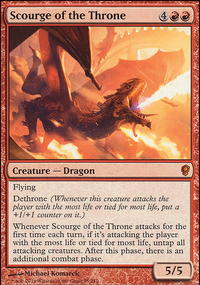 Ideally, we have either Orc Sureshot or Zulaport Cutthroat / Vindictive Vampire out when the combo goes off to wipe all of our opponents creatures or just kill everyone outright respectively. If all we have are the above combo pieces, we just go infinite and make a ton of thopters, hoping no one has a board wipe before our next turn rolls around. Having Pitiless Plunderer out at this point can also be huge, as he generates a ton of colored mana for us, and combined with Dark Prophecy we can dig through the deck to find any of the above creatures and cast them with the treasures we’ve made. 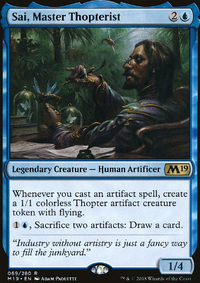 We’ve also featured a host of other artifact tutors that can either search out our combo pieces directly, search out Kuldotha Forgemaster so he can tutor the pieces, or transmute into specific cards we need. Are there any good passive artifact creature generators I’m missing here? Preferably ones that don’t cost any mana to use, or cost 1 at most. Are there any fun (and inexpensive) etb/death triggers you think I could include? I considered Butcher of Malakir , but her casting cost is more expensive than Orc Sureshot for essentially the same end result. Most importantly, does anyone have ideas for wrangling this manabase? This is my biggest concern right now, and compiling mana for a four colored deck is not easy on a budget. Blue and black comprise the majority of the important cards in here, but since Breya costs 1 of each of the four colors to cast, red and white are realistically just as important as the other two. I don’t want to be spending 5+ dollars on lands here. I’ve considered the talisman cycle, but most of those are decently pricey as well for what they are. Thoughts? BelugaWhale217: I'll consider that! Honestly, though, I've never found a huge need for ramp here (the draw guarantees I hit almost all of my land drops, and the curve is low since a large proportion of the deck is responses (at 3 or less mana). jakethewhale007: Ooh, I haven't tried that one here! Might be worth it! Darkshadow327: Thanks for your kind words! For the cuts you suggested: -Jace, Cunning Castaway for Deepfathom Skulker, I could see cutting Thing in the Ice Flip for Temporal Manipulation, I like cutting Declaration of Naught a lot, even though it shuts a commander out of the game, probably for Sphinx. 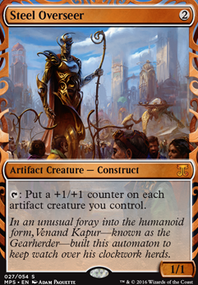 Thopter Spy Network seems lackluster to me, with your low count of artifact creatures. It should be the last cut imo. Still really loving the deck, keep up the good work! Rabid_Wombat on Sai’s Thopter Combo! Ur-Golem's Eye, Merchant's Dockhand, Riddlesmith, Cancel, Trickbind and Unsubstantiate. You have heaps of ramp already, and Sai himself provides plenty of card draw. Counters are great but we can afford to lose a couple as you have to be more proactive and aggressive in flooding the board - spend that mana fast, don't hang onto it unless it is late game and you have a Counterspell, Negate, Muddle or Redirect in hand to protect your Thopter Army. The deck can draw an insane amount of cards so you will have a Counter, or can use the Mystical to Tute for one, by that stage. I've also added Kozilek, Butcher of Truth to the deck as an extra wincon and to protect against milling strategies which are a thing in my local meta...so etimes I can cast him as early as turn 5/6 thanks to all the Artifact mana ramping him out.